1951 Checker Transit Model 01 at the Museum of Bus Transportation in Hershey. Red Rose Transit’s park-like Transit Center in Lancaster. 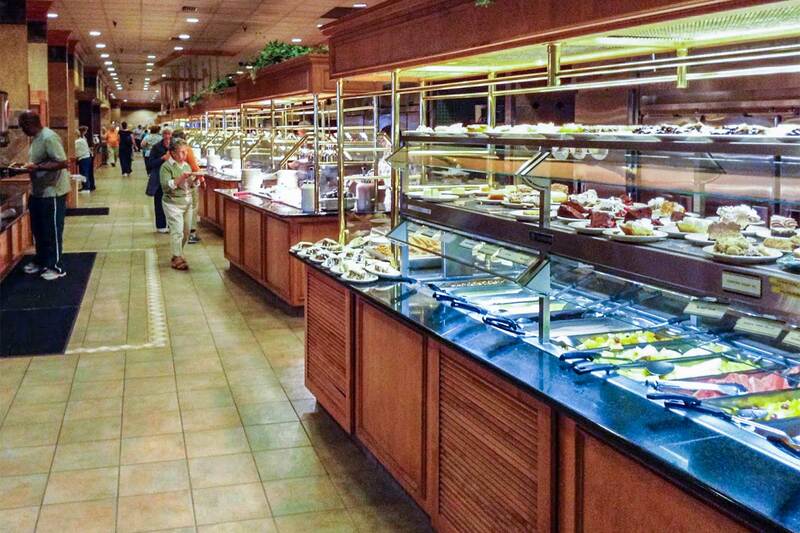 The Shady Maple Smorgasbord. This entire hallway has two rows of food and each station has 10 to 12 items. Plus grills! The Metropolitan New York Bus Association (MNYBA) welcomes fellow ERA members and your friends to a late-Spring Pennsylvania bus inspection tour in Amish Country using our comfortably air-conditioned Coach Tours bus. 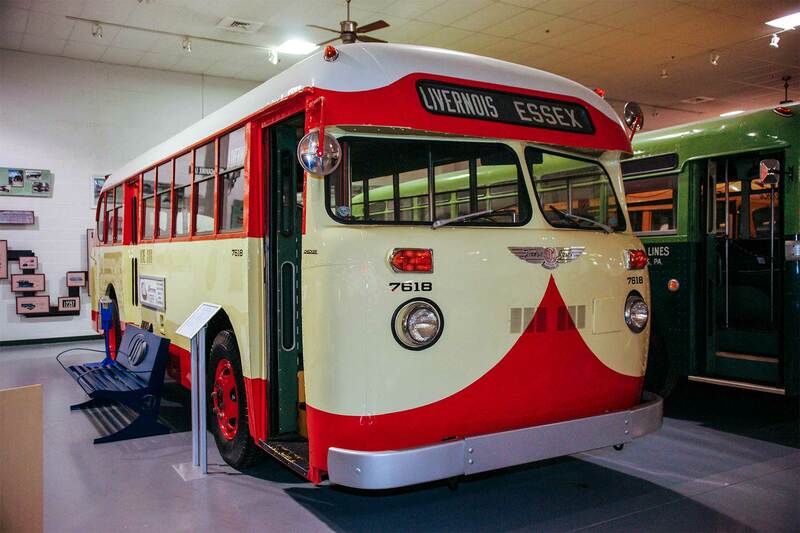 We plan to visit the one-of-a-kind Museum of Bus Transportation in Hershey where the history of buses unfolds before you in a climate-controlled setting, and where lunch is available. This museum has a spectacular collection of vintage motor coaches of all descriptions on display, and some rides are available. 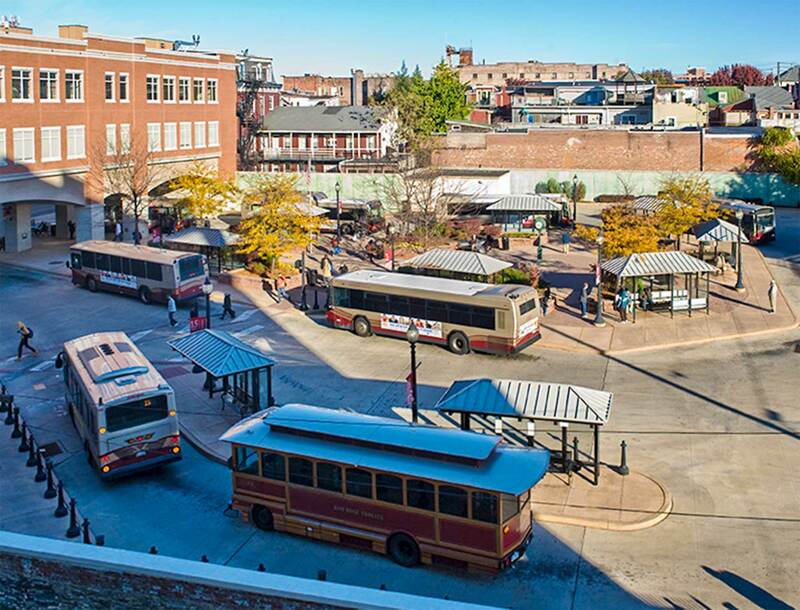 Our trip also includes visits to the downtown pulse point for Lebanon Transit (formerly COLTS) and Red Rose Transit’s park-like Transit Center in Lancaster. We also plan to visit the red buses in York’s Rabbit Transit garage (formerly YATA). We may also see some Amish buggies! Our day will conclude with a fabulous gut-busting dinner at the Shady Maple Smorgasbord in East Earl. The total cost of this trip includes bus fare, free admission to the Museum of Bus Transportation (donations welcome), and the all-you-can-eat buffet at Shady Maple, with tip. We expect to return to New York by 10 PM Sign up now for a great day in the Pennsylvania countryside.